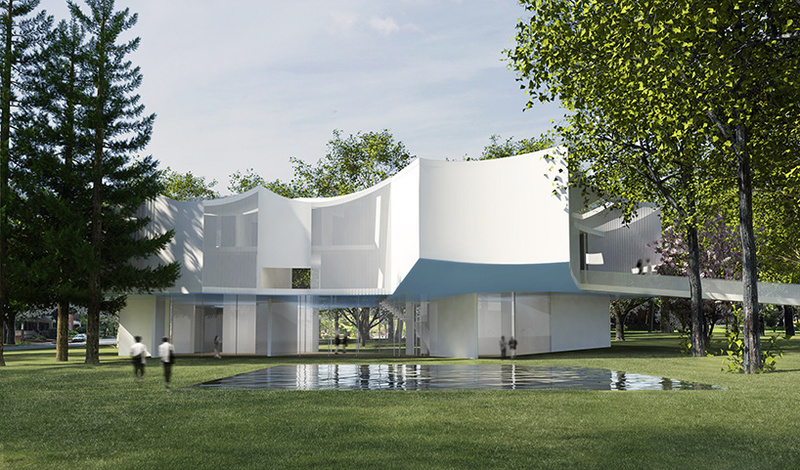 more details have been announced regarding two of steven holl’s upcoming projects in the US, which have just broken ground. 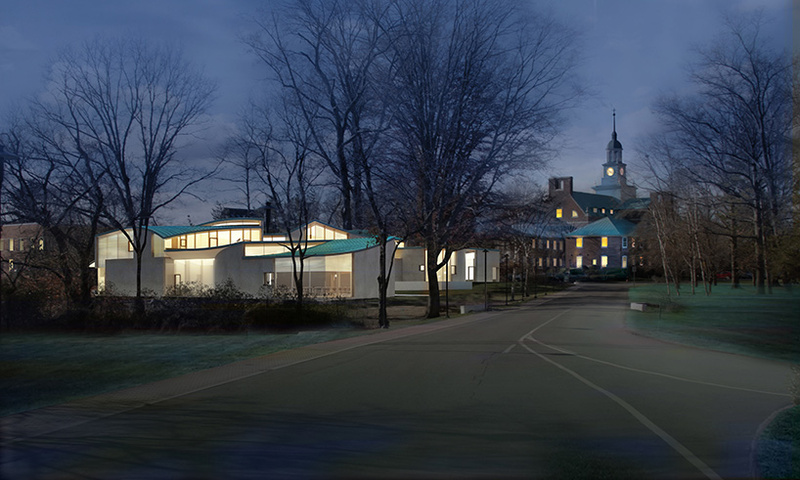 the architect’s new york-based practice is working on a new building for a research institution in princeton, new jersey, while another of the firm’s buildings is underway 100 miles west in lancaster, pennsylvania. 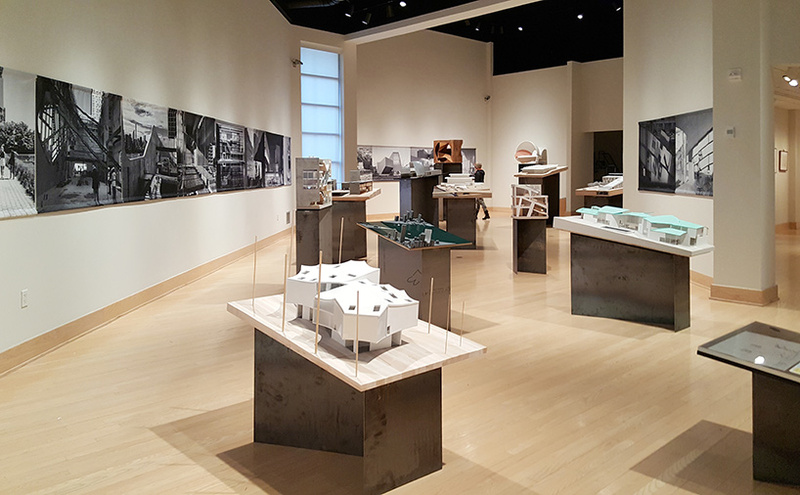 both projects, along with other new work, are included as part of a steven holl exhibit currently on view at the dorsky museum. read more about both schemes below. 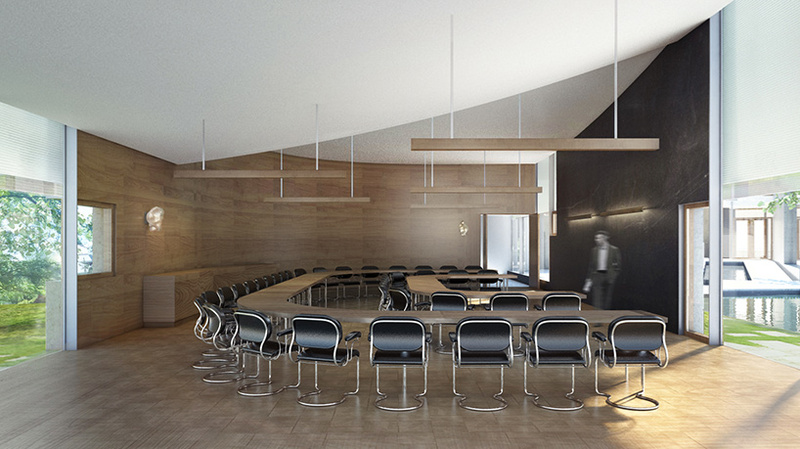 in winning the contest to complete the new rubenstein commons at the institute for advanced study (IAS) in princeton, new jersey, steven holl architects held off competition from MOS architects, OMA, and tod williams billie tsien architects. the IAS — where albert einstein worked from 1933 until his death in 1955 — has received funding for the building from businessman and philanthropist david rubenstein, co-founder of the carlyle group. at approximately 20,000 square feet, the new structure will sit at the center of the campus, providing a new forum that encourages interactions among the institute’s diverse community of scholars. 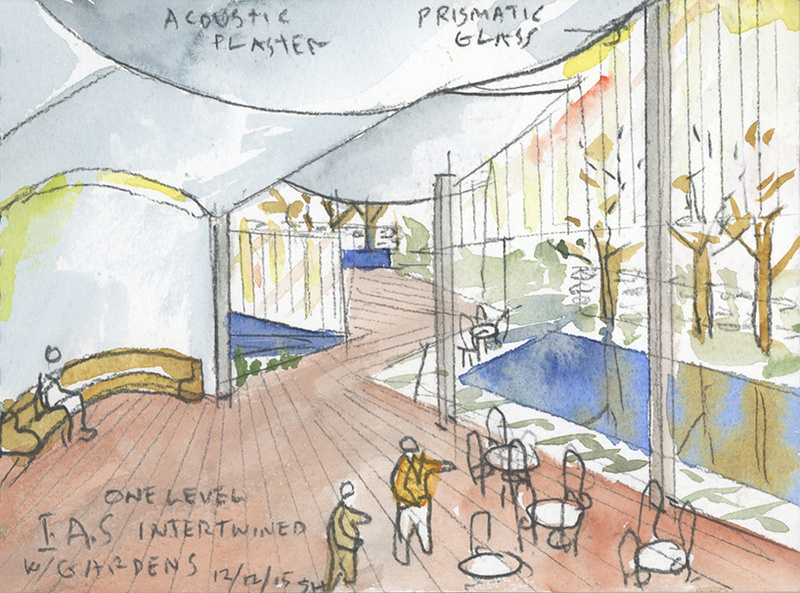 sited along a major pedestrian route near the center of the academic campus, the rubenstein commons will support community and academic life on the IAS campus, promoting communication and collaboration through a variety of social and meeting spaces. providing a communal and flexible gathering place for the institute’s research community, the building will offer a space for the display of images and materials that tell the story of the institute’s heritage, scholarly community, and current and future efforts. founded in 1930, the institute is one of the world’s leading centers for curiosity-driven research in the sciences and humanities. for more than 85 years, it has been the academic home for many scientists and researchers at the top of their fields, including j. robert oppenheimer, erwin panofsky, hetty goldman, homer a. thompson, john von neumann, george kennan, and clifford geertz. 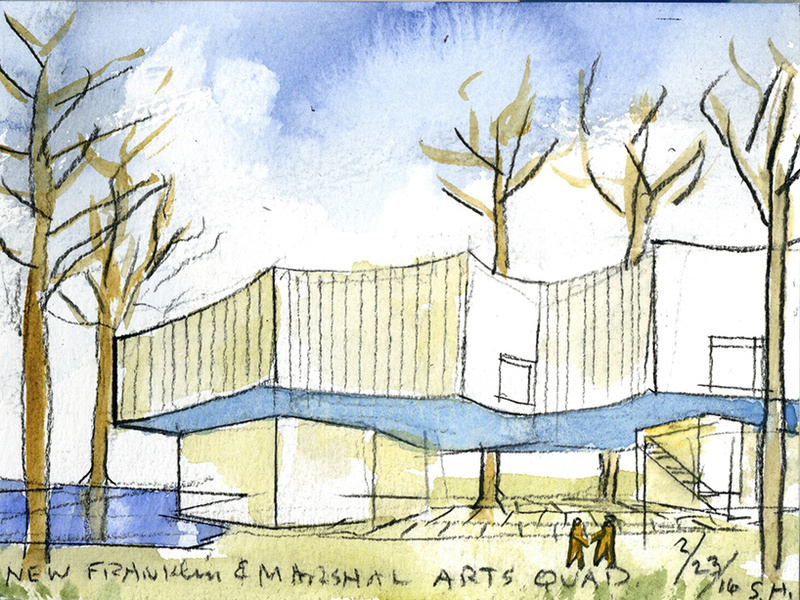 meanwhile, steven holl architects has also started construction work on franklin & marshall college’s new visual arts center. 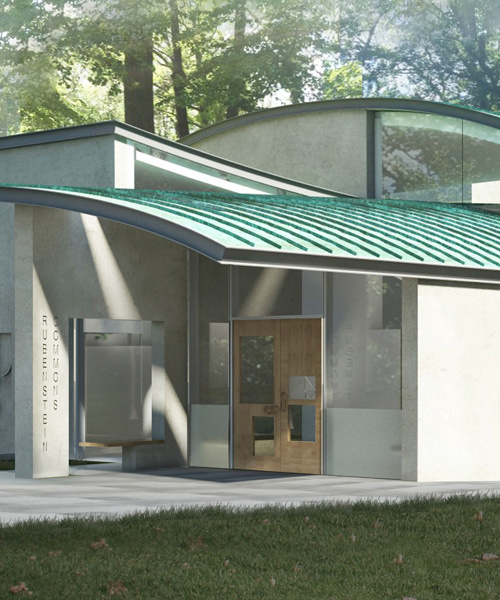 the new building will facilitate the creation of art and the study of visual culture in spaces designed to foster creativity. 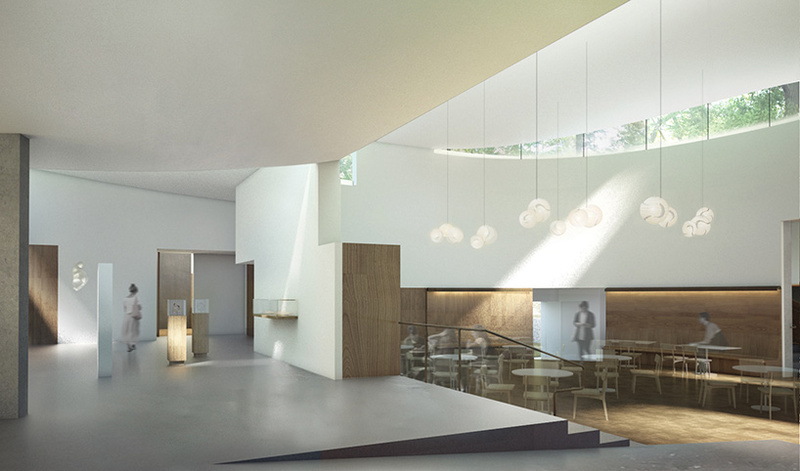 the center will include a wide range of teaching studios, galleries managed by the phillips museum of art, classrooms, student and faculty work spaces, space for digital and analog film production and editing, and an 84-seat cinema that doubles as lecture hall and performance space. 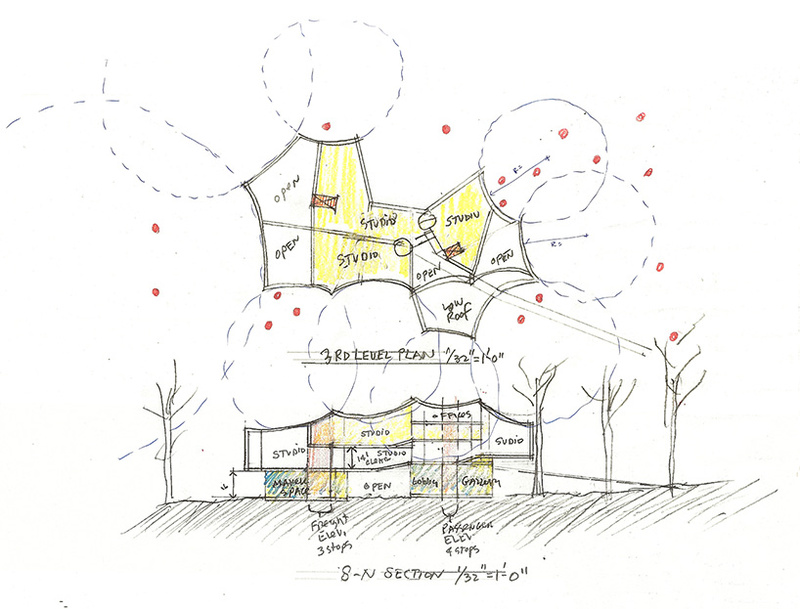 conceived as ‘pavilion on the park’, a prominent feature of the design is a glass-enclosed forum in the center of the ground floor that will allow pedestrians on the campus side of the building to see through to the green landscape of buchanan park. 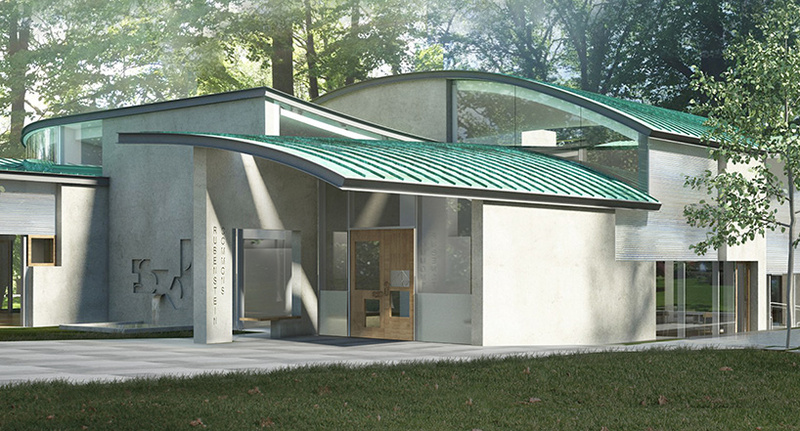 the new building, which will open in fall 2019, will form part of a new visual arts quad with a storm water reflecting pool at the south end of the campus marking a new college entry. see designboom’s previous coverage of the project here.